CES is where electronics makers debut their cool new gear with the hopes that they will end up in your living room, or more recently, in your laptop bag and even jeans pockets. It’s that push toward mobility, in part, that’s helping to usher in an era of thin, light and energy-saving electronics. Just don’t expect companies to advertise those attributes as heavily as other, more marketable whiz-bang specifications. Nonetheless, here are some of the green gadgets to get excited about this year. Apple’s Macbook Air is about to face some stiff competition this year from Intel’s Ultrabook reference spec. And it bodes well for Windows users that crave portability and all-day battery power. 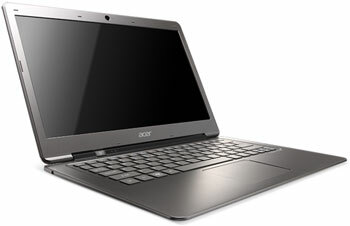 Look for companies like Toshiba and Acer to intro super-slim Ultrabooks. Nestled in many of those ultrabooks will be SSDs drives. Flash memory — the type of memory chips in SSDs — will also make an appearance in the avalanche of tablets that are also set to debut. Of the SSDs that you can see, OCZ is targeting that pro video/audio markets with its Thunderbolt SSD called Lightfoot (right), which it showed off at the Storage Visions show on the eve of CES. As Sony pulls out of the OLED business, LG promises to commercialize the tech for couch surfing. 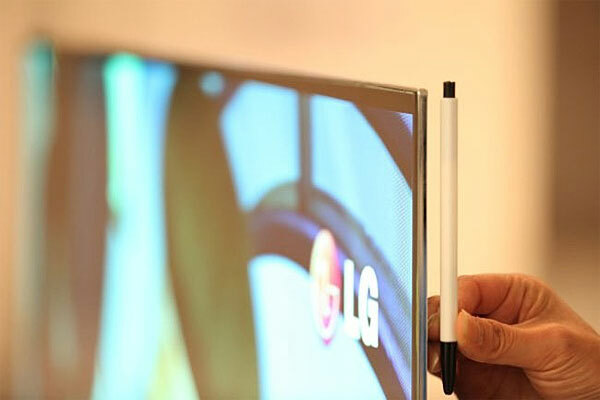 Get ready for stunning screens that virtually disappear when they’re viewed from the side. Lower electric bills too, that is if LG keeps its promise. 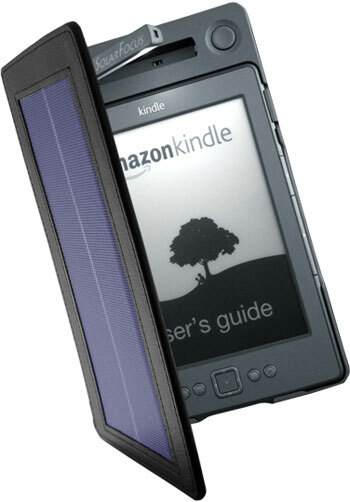 An accessory that combines solar power and e-ink? An innovation that’s doubly green! Color and video without the eyestrain? Yes, please! 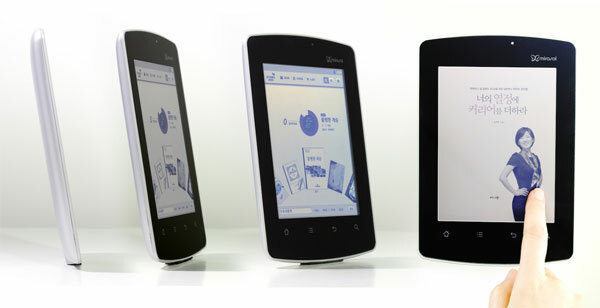 Kyobo’s expected to demo their e-reader featuring Qualcomm’s Mirasol tech, a color, e-ink-like screen that can handle video at up to 30 fps. Sadly, early demos have been a touch underwhelming. Hopefully it will wow at CES.